Advanced Education Minister Amrik Virk got a hands-on demonstration today of a haul-truck simulator during a visit to the College of the Rockies. 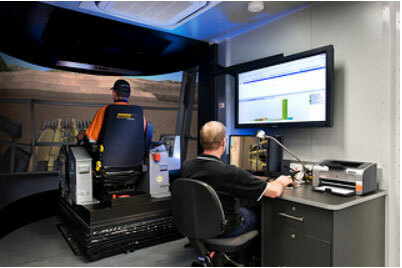 The college bought four stationary haul-truck simulators and one mobile simulator through funding totalling more than $2.8 million. Funding sources included $580,000 from the Province, $560,000 from the Columbia Basin Trust, and more than $1.7 million through Western Economic Diversification. This entry was posted on Wednesday, October 16th, 2013 at 10:40 am and is filed under Careers, Education, Government, National News, Software. You can follow any responses to this entry through the RSS 2.0 feed. You can leave a response, or trackback from your own site.